WrestleZone Radio has just released an exclusive interview with Ring of Honor star Silas Young! 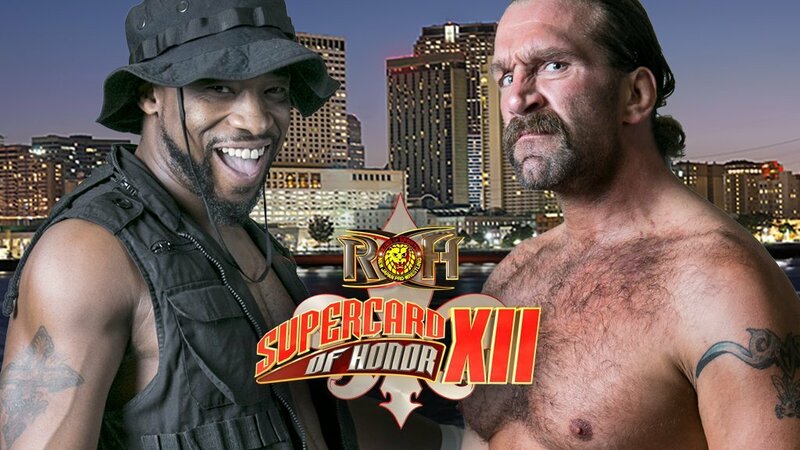 Silas will be facing Kenny King in a Last Man Standing Match for the ROH World Television Championship this Saturday night at Supercard of Honor. You can find some transcribed quotes from Silas’ interview in this post. The full audio is available on the final page or via WrestleZone Radio on iTunes. SY: Kenny is a pretty good talker but that’s about all Kenny is good at, talking. Anybody that knows me or has seen my hands know that they are anything but manicured or pedicured, whatever it is. My hands have never seen a manicure or pedicure! Kenny King can talk all he wants but talk can only take you so far and we’ll see how far it gets him. SY: I think Bully Ray tends to be a little bit of a biased person but he did the right thing. I kind of got screwed. I don’t like to use that term, so to speak, but I had Kenny beat. Kenny likes to run his mouth and now it’s put up or shut up time. Bully Ray, this time, made the right decision and he made it a Last Man Standing Match. This is my match. I am 2-0 and Kenny King may have bitten off more than he can chew. SY: I don’t care who comes around. When you are the ROH Television Champion you have to be ready for all comers and give people the chance to challenge for the title. When I am the champion I will be accepting all challengers… given they earn their opportunities. I would absolutely love to wrestle Austin Aries in an ROH ring. Like I said, I’ll take on all challengers.